The APQP4Wind program is expected to be instrumental in bringing diverse quality processes across the wind industry much closer to one another. 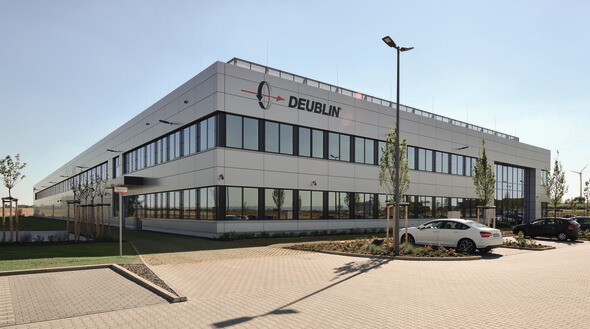 DEUBLIN, as an excellence-driven component manufacturer, voluntarily sought compliance with the demanding requirements and welcomes the new quality standardization for the wind sector. APQP4Wind is a new wind industry standard designed to enable wind energy OEMs and component manufacturers to strengthen their cooperation with regards to quality assurance processes. The APQP4Wind program is expected to be instrumental in bringing diverse quality processes across the wind industry much closer to one another. It is also instrumental in establishing the common mindset and terminology needed in the industry to work collaboratively on these issues. For DEUBLIN, fulfilling the requirements of APQP4Wind implies that the standards will be implemented throughout the designing and manufacturing processes, so aligning DEUBLIN with its global Wind OEM partners. Innovation is no longer just about technology. It is also about continuously finding new, more effective processes to deliver higher quality and increased customer satisfaction at reduced cost. It is no accident that DEUBLIN adopted APQP4Wind without being required to do so. It is a part of the company culture to drive innovative product designs, that can stand for high operational reliability accompanied with a long service life at the lowest cost. The APQP4Wind project was initiated in 2016 by the Danish Wind Industry Association (DWIA), after the trade body recognized the importance of establishing quality processes standards for the wind industry. DWIA enlisted the support of key OEMs like Vestas, Siemens-Gamesa Renewable Energy and GE to contribute to the development of these new quality standards. The training program that DEUBLIN participated in has been developed in cooperation with DNV GL and Bureau Veritas, who have both been certified as official APQP4Wind training providers.